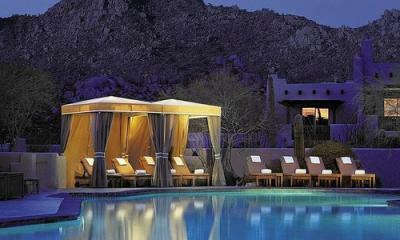 Welcome to Four Seasons Resort at Troon North. High in the Sonoran Desert, in the foothills of Pinnacle Peak, relax in southwestern-style casitas, dine with amazing views, bask in sun-drenched weather and astounding scenery, and rise to the challenge of golf at Troon North. 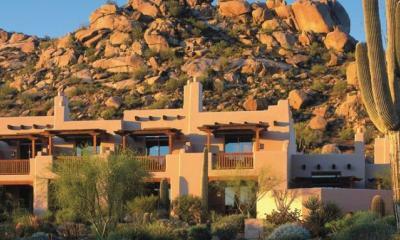 The resorts 25-casita buildings blend into the surrounding desert landscape. 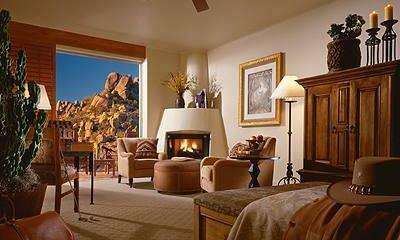 Each of the 210 guest rooms and suites include a spacious terrace or balcony and all expected amenities. A variety of dining options, 12,000 square foot spa, tennis courts and large free form bi-level pool with separate whirlpool will all enhance your stay. Two outstanding championship golf courses are at your door. 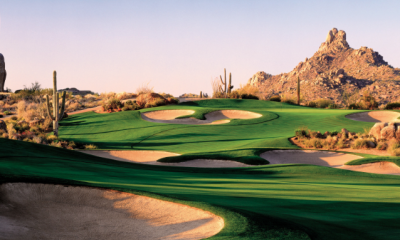 Troon North, the Monument was conceived by Tom Weiskopf and Jay Morrish. This 7028-yard, par 72 course will provide a challenge for both low and high handicap players. 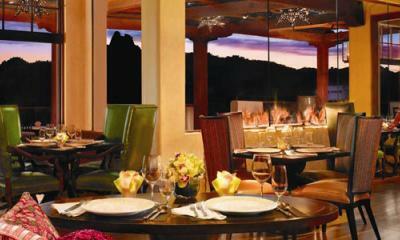 Troon North, the Pinnacle opened in 1996, again designed by Weiskopf. This 7044-yard, par 72 course with 5 sets of tees will also appeal to players of all skill levels.